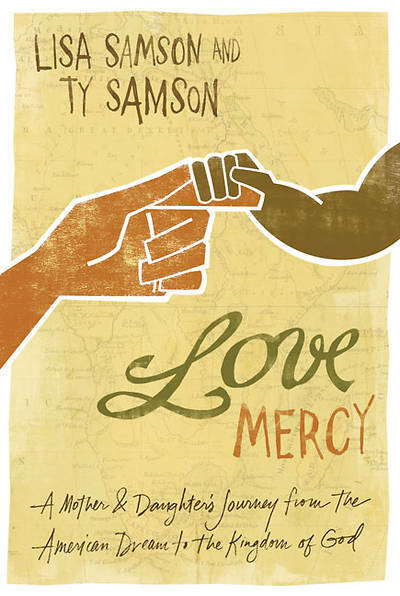 In Love Mercy: A Mother and Daughter's Journey from the American Dream to the Kingdom of God, having lived a life of plenty in suburban America, Lisa Samson and her eighteen-year-old daughter, Ty, thought they were traveling to Africa to minister to the people and chronicle the AIDS crisis devastating the continent. Their trip, they assumed, would be missional, merciful, giving. Instead, they experienced a life-changing, soul-rattling journey. As mother and daughter are confronted with incidents of child prostitution, preventable illness, poverty, oppression, abuse, and death so prevalent it leaves no time to mourn ... their journey takes a decidedly different tack. Love Mercy confronts us directly with the AIDS crisis in Africa--in particular Swaziland, which has the highest AIDS rate in the world and where the average life expectancy is thirty-two years of age. Offering two unique perspectives, Lisa and Ty share the questions they encountered on their journey and tell the stories of those they met along the way--from the children themselves, to adult AIDS victims, to the compassionate mercy-givers who seek every day to alleviate their suffering. Smiles in a place of aching sadness. Mercy in a place of heart-wrenching poverty. Two people transformed by God in ways, and places, they never expected, discovering that even in a land riddled with heartache ... Christ's love and redemption are ablaze.